Mmm, nice idea. We will consider it. 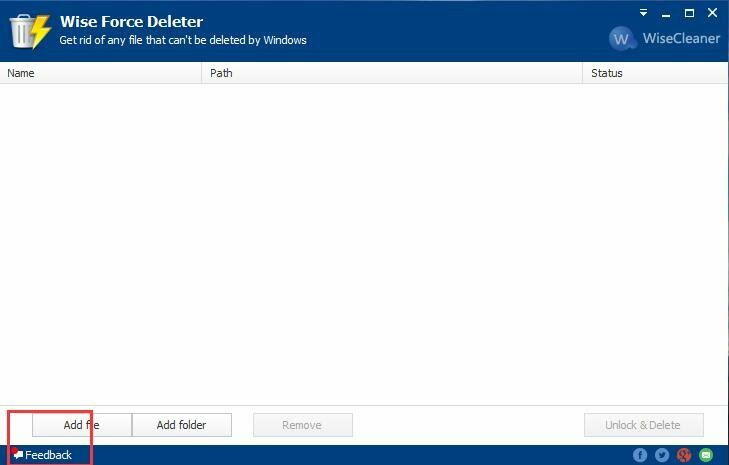 Wise Force Deleter not support deleting folders and not context menu for folders. Window main not have option adding folders. Wise Force Deleter is a "dangerous tool", if you delete a folder it contains some files that you want to keep but you don't notice them, these files will be deleted and you can't recover them. and there are much similar situations. So, wise force deleter doesn't support to delete a folder, we want user to confirm every file is useless and deletable. Wise Force Deleter can not delete files that have big name. "long file name"? We did a test, created a text file, its name contained 221 characters, but force deleter can delete it. Can you tell me more details? 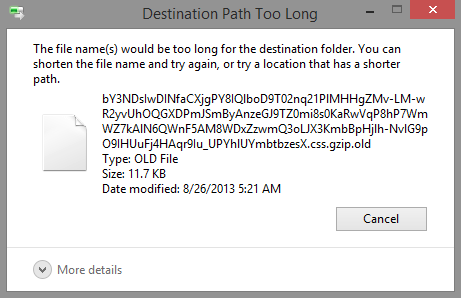 your file name, size, type, and did you receive the error message? Fles located in the path Users in big depth and had long filenames. Unfortunately I deleted with FilExile and I can't give exact details. Rather I'm the message on the attached picture. Worked on C:\TmpDelete from 3/19/2018 with 53 folders and 18 files. Why failed? Windows said "This file is in use"
Suggestion: Unlocker allows selections thru right-click menu. Add option to WFD. "Suggestion: Unlocker allows selections thru right-click menu. Add option to WFD." Thanks, but current wise force deleter has this feature. Please try to delete it in Safe Mode. Wise Force Deleter did not work for me. I reported the error message to WiseCleaner. This is an AUTO-REPLY email, please do not respond to this email. There is a new reply of your question and feedback. Please run your Wisecleaner program, open Support Center to view details. The message does not say which program to open. I opened the Force Deleter program and there was no reply. This support system is broken! How can I view the support ticket on the web in the normal way, like other companies do? If there is new reply, when you open Wise Force Deleter, you can see a red mark on left lower bottom. If uninstalled Wise Force Deleter, you cannot receive reply message. I checked our support system, the latest problem about Wise Force Deleter was created on July 3rd. When did you submit it? The new information button showed the offer in Chinese, instead than in English. Sorry for it, it was a test message.